Hello, I am Jocelyn. I am an award-winning professional portrait photographer, specialising in newborn, child, family and maternity portraits, and maternity and baby body casts. I work from my dedicated photography studio in central Liverpool. 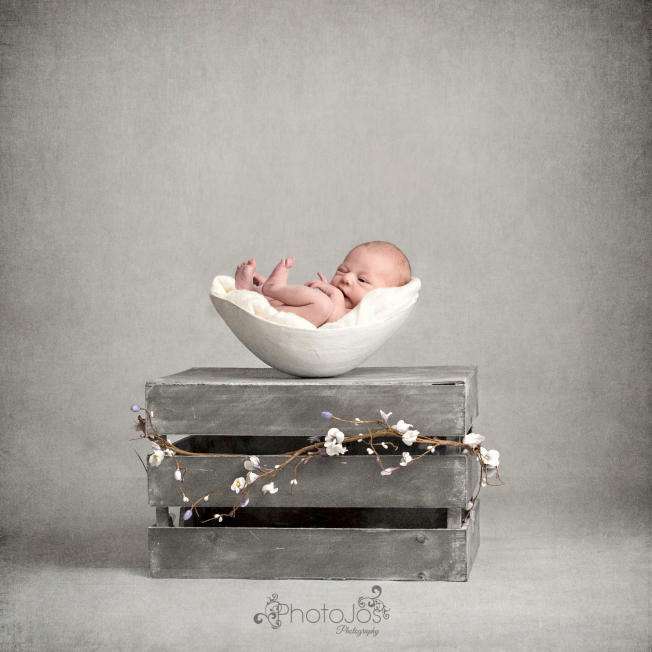 Since establishing PhotoJos Photography in 2007, I have had the pleasure of taking the portrait of hundreds of pregnant ladies, newborn babies, children and growing families, including local celebrities. I strive to create unique and beautiful artistic portraiture of the highest possible quality that my clients will proudly display on their walls at home and treasure for a lifetime.I believe that being a parent is the greatest thing in the world, and I understand how important it is to capture great family moments. As a former midwife, and mother of five children, I am highly trained and experienced in safely handling newborn babies and ensure that all photographs are taken with the upmost care and with adherence to safe practices. I am a member of leading photography organisations such as The Society of Wedding and Portrait Photographers and The National Photographic Society as well as BANPAS and I also train other professional photographers in the art of newborn photography via the Baby Whisperer Academy. Love Jos x.